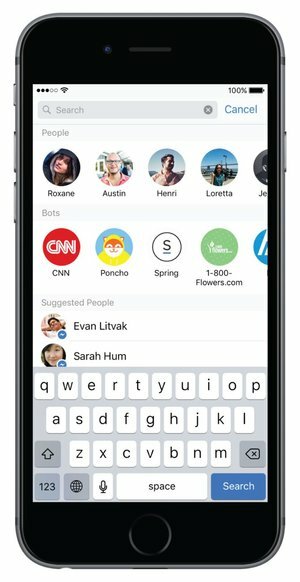 This week, Facebook opened up their long awaited bot platform within Messenger following similar moves from LINE, Telegram and Kik. It almost seems as though bots have peaked on the "Hype cycle" in just a few short weeks since they entered mainstream discussion. This isn't a criticism of the concept, but rather of industry discourse. Chatbots certainly have potential, but where that lies is just as important as the eventual scale. Facebook demonstrated quite a few bots during this week's F8 conference. Unfortunately, it appeared as though many of them were just apps built inside a messaging app (a concept that has yet to go mainstream outside of a few Asian countries). In fact, these demonstrated chatbots basically just substituted touch navigation with text messages, i.e. instead of tapping an icon/button to get to another page, you had to send a message to the bot. While this may just be a v1.0 issue, it seems an awful lot like a command line substitute to apps. Chatbots will have a hard time going mainstream if they increase, rather than decrease, friction in the smartphone navigation model. We also need to draw a line between bots and chatbots. Technically, a bot is any service that is built on artificial intelligence tech (irrespective of sophistication) and can interact with users directly. Google Now, Siri and even Amazon's Alexa are all bots by this definition. My critique is specific to (specialized) chatbots built within messaging apps and not necessarily generalized bots. Google Now, for example, does not need input from the user (beyond occasional touch input) in order to provide value (voice is an option, but not a necessity). Chatbots on the other hand, force an entirely new interaction model onto users, introducing even more friction. This isn't to say that chatbots are doomed to fail. One area where chatbots have significant potential is customer service. Instead of emailing or calling a business for standard inquiries, it would be much easier to simply communicate with a bot. By substituting those modes of communication, chatbots actually reduce, rather than increase friction. This could also reduce the costs associated with human customer support and induce more businesses to get onto mobile. Being highly specialized, these chatbots would most likely have a lower error rate. This would minimize user churn and maximize network effects between bot builders (in this case, businesses) and consumers. I believe the right path will be necessary for bots to gain a foothold market and, eventually, mass market acceptance. On the other hand, the wrong path could lead to user abandonment and prevent network effects from taking hold between users and businesses.